Newcastle United have launched a scouting mission to watch Sevilla’s La Liga clash with Eibar on Sunday (10 February), according to Scouts in Attendance. The reputable Twitter account, who have a proven record of revealing when and where scouts from clubs across the world are watching, claim that the Magpies will be watching on in Spain. The report states that Newcastle had been linked with Sevilla’s Ibrahim Amadou in the January transfer window but that the 25-year-old would have to feature from the bench, having not been named among the starting XI. With manager Rafael Benitez having one of the most enviable list of contacts across Europe it should come as no surprise that the Magpies have something of a presence in his home country. He will know most, if not all, of the talents in Spain’s top flight who are impressing and could be available to Newcastle for a future move. The north east outfit have flourished with imports from La Liga, Florian Lejeune having become a first choice centre back in his year and a half at the club while Fabian Schar has joined the Frenchman in establishing himself as a regular after leaving Deportivo La Coruna last summer. Could Amadou be the next to make the move from Spain to St James’ Park? He might not be a defender but he is most comfortable as a midfield enforcer and does have the ability to play at the heart of the defence if push comes to shove. 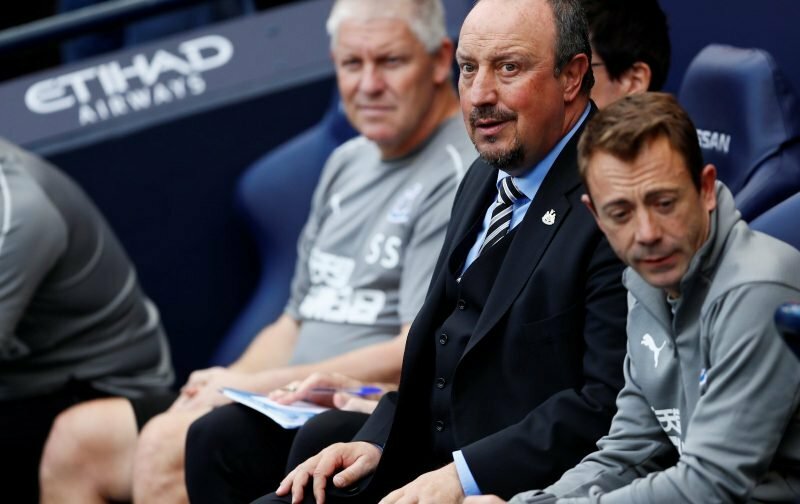 Could Newcastle’s presence in Spain signal that Benitez is still working on new signings despite his contract coming to an end in the summer? The Toon Army will certainly hope so.